Antonetthe Tismo and coach Sharon sings ‘Batang Bata Ka Pa’ on The Voice Kids Philippines Season 3 ‘The Final Showdown’ Live Grand Finals on Saturday, August 27, 2016. “That was such a nice, warm and sunny performance. It’s so nice to listen,” said coach Bamboo. 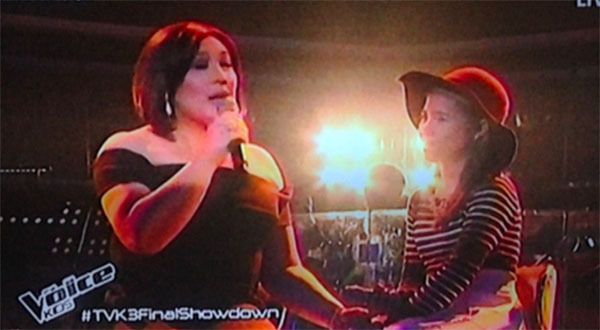 “You showed different colors to your voice tonight,” said coach Lea. What can you say about Antonetthe and coach Sharon’s performance? Share your thoughts and views on the discussion box below.